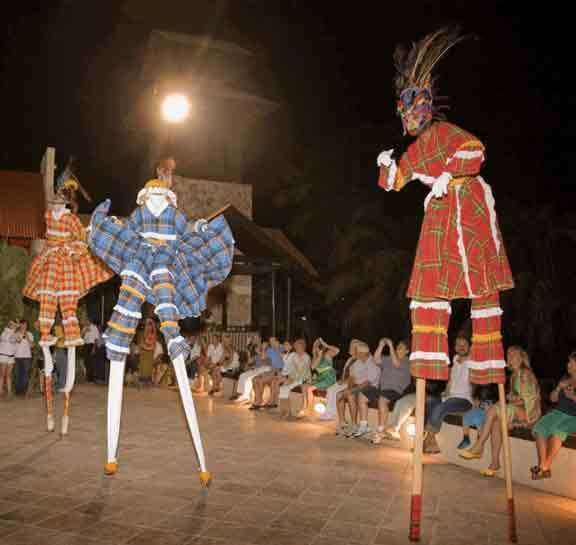 Gecko's Island Adventures will make your visit to St. Croix an experience that you will not soon forget. Family Friendly!! 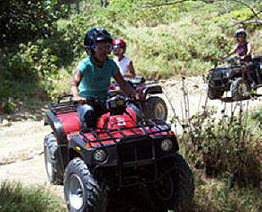 Experience the thrill of riding an all-terrain vehicle (ATV). 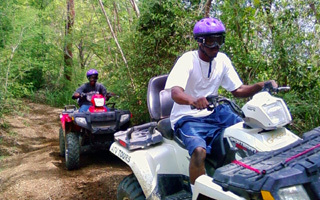 Drive one of our ATV's on a guided excursion along mountainous trails through the Sub-Tropical Rain Forest, exploring historical ruins, and viewing amazing vistas of the north shore and the island. 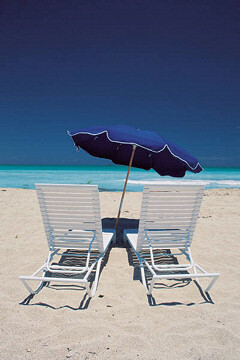 “Fun, excitement, and adventure all wrapped up into one great tour." 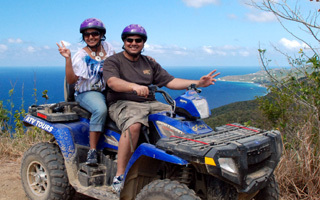 Each ATV is designed to accommodate two persons so bring your family and enjoy a true island adventure. 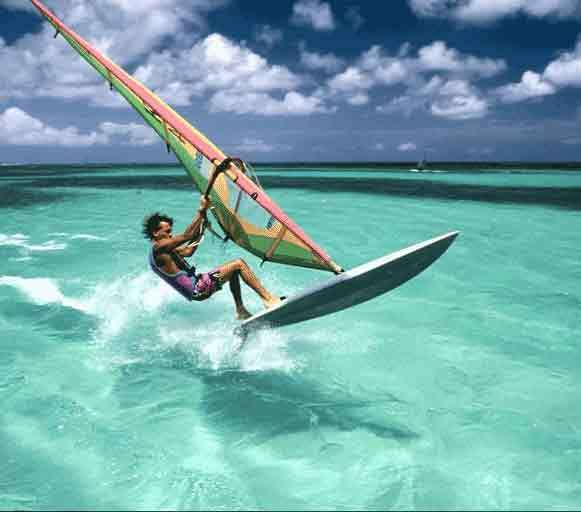 Enjoy the Ride of Your Life! 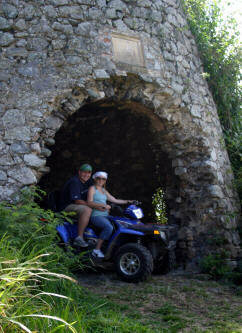 Gecko's Island Adventures provides every rider the opportunity to see St. Croix like no other tour. 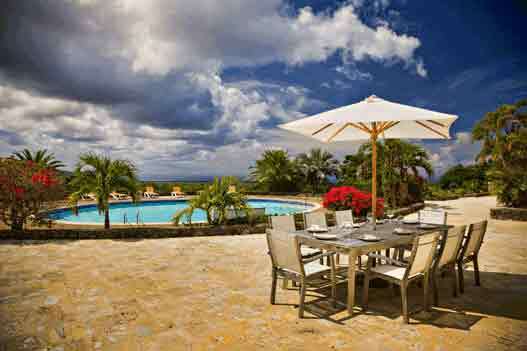 Experience 13 miles of Tropical Rain Forest, Panoramic Views of the Coast and Ancient Ruins. Come and join us today.